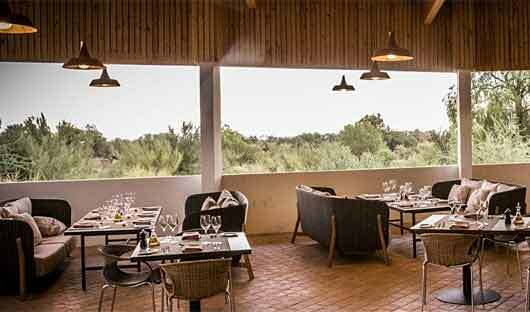 The explora de Larache is unpretentious with a casual elegance. The hotel occupies 17 hectares in the ayllú (neighbourhood) of Larache, only a short walk south of the town. 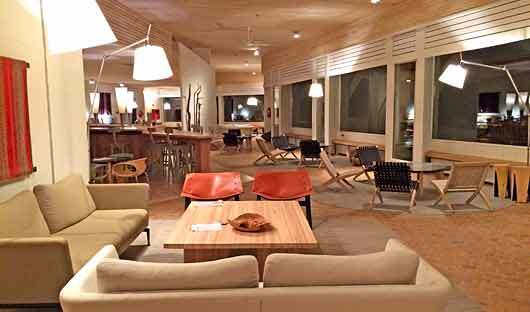 While the white exteriors may be simple, all of explora’s interior spaces are very tastefully appointed. 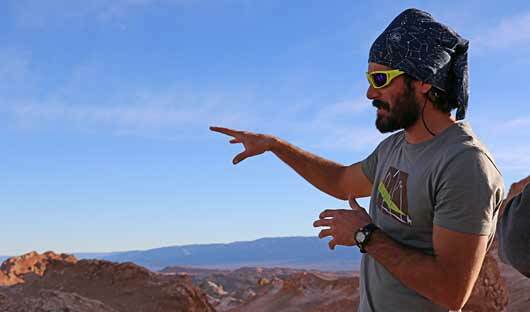 explora Atacama offers excursions for all fitness levels and interests. The explora horses are some of the best in Chile and perfect for beginners and advanced riders. Hiking, walking, biking and overland excursions enable options for everyone. 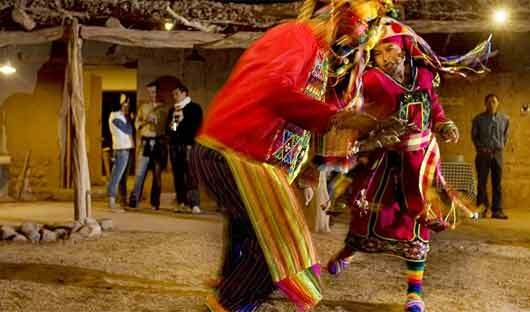 explora Atacama guides are passionate and professional with a deep understanding of the region. 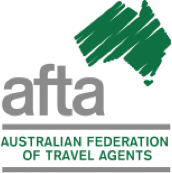 They love what they do and sharing their home with travellers from all over the world. All the guides speak excellent English. 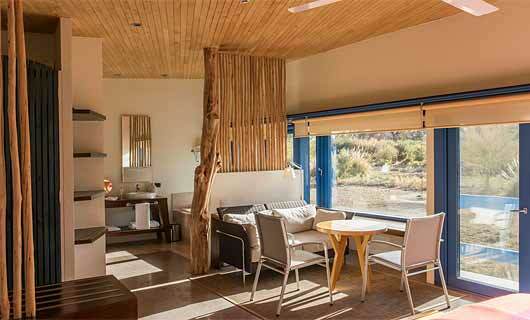 explora Atacama accommodates travellers from all over the world who are passionate about nature. This is a place where friendships blossom and memorable experiences shared. 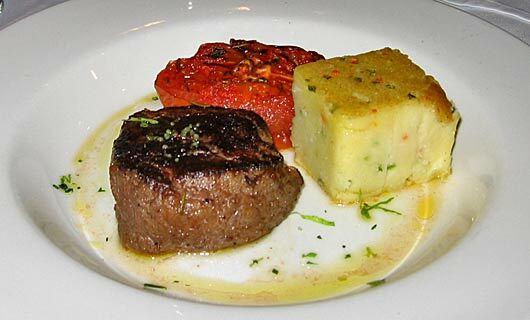 You will enjoy excellent local cuisine at explora Atacama made from locally sourced produce and recipes. This minimises the need to import food reducing the impact on the environment. 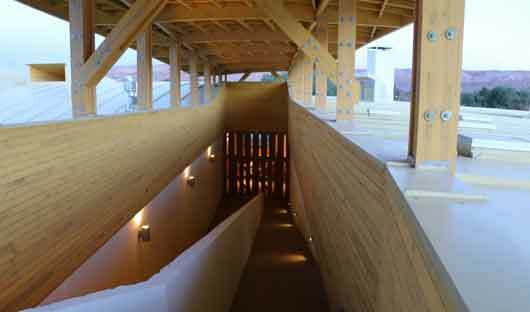 Beautiful architecture and well planned communal areas make explora Atacama feel like a relaxing home away from home. The rooftop terrace offers an incredible view of the volcano and bar a perfect place to recap the days activities. 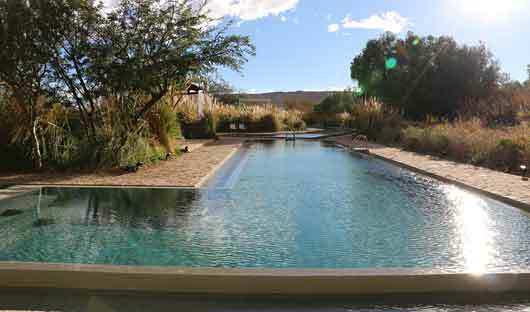 To ensure you have a relaxing, immersive holiday everything at explora Atacama is included. Excursions, meals, beverages, transport and accommodation is taken care of so you can enjoy your break. 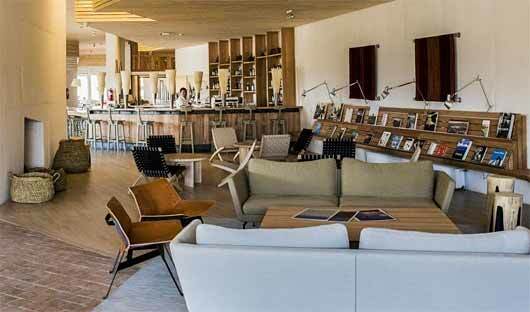 There are four Catur suites at explora Atacama. Each is 50 square metres with a balcony and views of the countryside. Enjoy a marble bath, seperate shower luxury toiletries, a sitting area, a desk and king size bed. 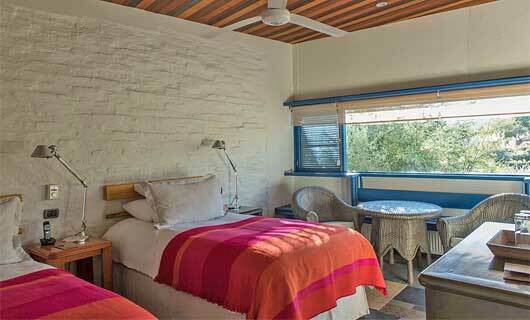 There are nineteen Tulur Rooms at explora Atacama. 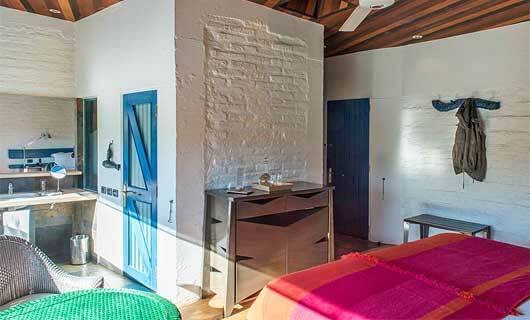 Each is 33 square metres with views of the Cordillera de La Sal (Salt Mountains). The rooms have king or twin bed configuration and a sitting area. The bathroom has a bath and shower as well as luxurious toiletries. 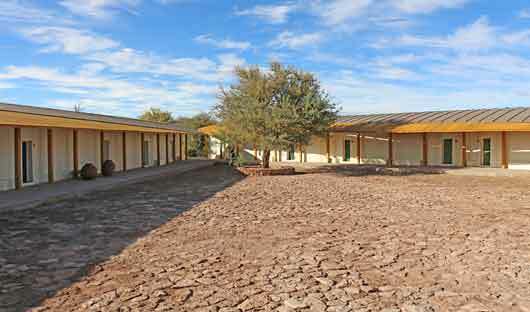 There are 27 Yali rooms each measuring 33 square metres with views of the desert landscape. The beds are king or twin configuration and there is a sitting area as well as a bathroom with shower and bath. Enjoy luxurious toiletries. Departby van from explora and take the road toward the Guatin village, at the confluence of the Puritama and Purifica Rivers. For the most part, this exploration goes through a cactus valley. The trail follows the river along a canyon, crossing it several times, and descending by the edge of waterfalls (with falls of 3 meters approximately). Finally, leaving the canyon, enjoy panoramic views of Atacama. Return to the hotel by van. Depart by van from explora to La Sal Mountains, where you walk along the Kari ravine, a canyon formed by water erosion and surrounded by huge sedimentary walls of clay, gypsum, and salt. During the hike, tackle different kinds of slopes, descending through a sand dune and two waterfalls (these only carry water during the rainy season). Return to the hotel by van. Depart by van from explora to La Luna Valley where you can enjoy the varied scenery of La Sal Mountains, where the wind and water erosion have carved the land into stone sculptures, geological formations and sand dunes. Walk across several valleys and vast plains, typical of the desert landscape. Return to the hotel by van. Depart by van from explora to the source of the San Pedro River. Enjoy an uphill hike that leads to the summit, with views of the green valley of Catarpe against La Sal Mountains and Los Andes’ volcanoes. This is a great opportunity to enjoy panoramic views, the desert’s silence, and to get a general idea of the Atacama territory. Return to the hotel by van. Start your exploration at the Puritama River creek. Walk along the creek following the river bed between large rock walls, shrubs and cacti over an irregular terrain. At the end, you will arrive at the Puritama Hot Springs to enjoy the thermal waters. Depart by van and head toward the Catarpe Valley by an old road. Hike along the ledges of La Sal Mountains, with panoramic views of the oasis, the Atacama salt flat, La Sal, and Domeyko Mountains. At the end of the excursion descend through Marte Valley’s sand dunes. This is a good opportunity to learn more about the local history, geography and archaeology. Return to the hotel by van. Departing by van from the hotel, we head toward La Luna Valley. Where you will hike through the reserve’s south side, one of its least explored areas. The landscape has rock formations, natural sculptures, and huge sand dunes. By the end of the hike, enjoy a 360° view from La Sal Mountains to the Atacama Desert. Return to the hotel by van. Depart by van from the hotel toward the Domeyko Mountains, home of the guanaco, a mammal of the Camelidae family. Visit archaeological sites with cave paintings and walk through a ravine that was used as a caravan route for trade and foraging by several ancient people that populated the Atacama Desert. At the end of the hike you will enter the Arcoiris Valley, a site with huge earth walls. Rich in minerals, these walls render a multicolored landscape. Take a van to Guatín where you will begin an ascending walk for almost 30 minutes along giant cacti up to the Puritama River creek. There, you will descend along the river, through rock walls and vegetation. Arrive at the Puritama Hot Springs were you will have some time to relax and take a dip. Depart by van from the hotel toward the north side of the Puritama Natural Reserve. Begin your hike with views of the the mountains, volcanoes and the Atacama salt flat basin. To get to the hot springs, walk across several ravines, some of them deep and others shallow. The hike takes you thorugh several changes in the flora and you will visit the habitat of the Andean mountain cat, an endangered species. At the hot springs, have a light lunch and enjoy the thermal pools. In the evening keep walking along the ravine toward Guatin, a grazing area. Because of the contrasts in flora and fauna due to elevation changes, this hike offers a chance to visit intermediate ravines between the oasis and the mountains. *Please bring a swimming suit and sandals. Towels will be provided. Not recommended for travelers with vertigo. Take a van to the Valley of Mars in the Salt Ridge, where you begin a walk with views of the different mountain ranges in the region. Descend through sand dunes and continue walking across the valley, where the van will be waiting to take you back to the hotel. Take a van to the Domeyko Mountain Range, where you will walk through trails that were formerly used as transit and bartering routes and where you can still see remains of the Atacameño culture. Continue to the Arcoíris Valley, a place with huge multicolored walls that explain the geological shaping of the Atacama region. Take a van to Machuca, an Andean Plateau village. Begin exploring a wetland and then walk along a creek to the Grande River. In this exploration you can see fauna and typical Andean farming terraces. Enjoy lunch at Peñaliri, an abandoned village. This excursion offers a different perspective on the Tatio geysers. Depart by van toward the geothermal field where you will commence an upward hike with views of the geysers and the Andes Mountains. Then, descend through an open ravine leading to a little-known warm-water river. Walk along the river through mineral formations typical of this of geological region. *Not recommended for travelers with vertigo. Depart by van from explora toward the Domeyko Mountains, where you will begin cycling along a steep trail, surrounded by thick multicolored walls, until you reach the valley’s ravine . On this excursion you maysee guanacos and other local fauna, in addition to the diverse local flora. Return to the hotel by van. Depart by van from explora toward the Catarpe Valley. Take a detour through an ancient dirt road up to La Sal Mountains. After cycling through a historic tunnel, begin descending across dry riverbeds into Piedra de la Coca, an area with petroglyphs. Continue over the La Paciencia plain, biking through more dry riverbeds and rocky paths. Return to the hotel by bicycle through the Marte Valley. Depart from the hotel and cycle across the Catarpe Valley. Ascend toward Cuchabrache through an old road that goes across La Sal Mountains, where you will pass by several gypsum and salt ravines. During this bicycle excursion, travelers can appreciate the local culture, observe the petroglyphs and visit the San Isidro Chapel. Depart by bicycle from explora toward the archaeological Tulor and Beter sites. The later is a colonial Atacama settlement where you have the opportunity tolearn a little bit about the local history and walk along the archaeological remains. After this stop, continue biking until you reach the ayllu de Solor where you will get to see how Atacama people live nowadays. Return to the hotel by bicycle. This excursion is our first bicycle route in the Andean highlands. Depart by van toward the Argentinean border. From ther, cycle at over 4.000 m.a.s.l. passing through plains and multicolored mountains. This remote adventure is a challenge worth experiencing. 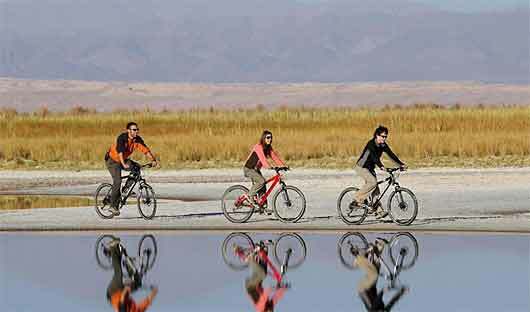 Take a van to the Salt Ridge and begin bike riding in the Paciencia plains. Travel to the Moon Valley through sandy soil and beautiful landscapes. The return trip is an uneven path that includes different ascents and descents. Bike ride to the San Pedro River and follow its course to Catarpe. You will go through the Quitor pukará, an old fortress, and cross the Garganta del Diablo (Devil’s Throat), a canyon inside the Salt Ridge with zigzagging paths between striking rock formations. Return to the hotel along the the same road. Ride your bicycle to the Catarpe Valley in the Salt Ridge. Pedal through zigzagging paths between canyons made of reddish soil in a place known as Garganta del Diablo (Devil’s Throat). Visit the San Isidro church and the tambo in Catarpe, an important administrative center of the Inca Empire. Take a van to the Tatio Geysers. Along the way you may see vicuñas, flamingos and foxes. Walk across the reserve with views to the Andes Mountain Range and the hot water springs from where steam rises. Return by van to the hotel. Depart by van from explora (35 min) toward the south to visit the village of Toconao. In this oasis, surrounded by vegetable gardens, enjoy a light 45-minute hike. From here, continue toward Los Flamencos National Reserve until you reach the surroundings of the Chaxa lagoon, located in the Atacama salt flat. This spot is ideal for birdwatching. Here, you can watch the sunset and then return to the hotel by van. Depart from explora, on the road to Calama, and take a detour to visit the Yerbas Buenas archaeological site. Here, you have a chance to see different styles of petroglyphs left by caravans that used this site as a resting spot. Continue toward the small village of Río Grande, one of the most beautiful villages in Atacama, where we stroll through its picturesque streets. Return to the hotel by van. Depart by van toward La Sal Mountains, where you can appreciate landscapes typical of the desert, with reddish clay plains, sand dunes and various sedimentary formations. When you reach the highest peak in this mountain range you will have a supurb view of the mountains. Take a 30-minute hike through the south of La Sal Mountains, one of its least explored areas. Depart by van toward the Argentinean border to see the multicolored landscapes and salt flats in the Andean Highlands. Explore different ecological layers, view the diverse flora and fauna, which has evolved to survive extreme conditions. Once you reach the summit, you will get out of the van to be in direct contact with nature and experience walking at over 4.000 m.a.s.l. In this exploration learn about the Atacameño history and culture. Start with a guided tour of an archaeological deposit where you can see ceramic pieces and other historical artifacts fit for a museum. Later on, move on to the village of Tulor, one of the first settlements. Your exploration ends at the mythical desert bookstore before heading back to the hotel. Take a van to Talabre, where you will visit the archeological site of Kezala with petroglyphs as old as 800 – 400 B.C. Continue your journey through solitary pathways into the heart of the mountain range in the Andes Plateau. Enjoy lunch in the middle of a natural environment before returning to explora. 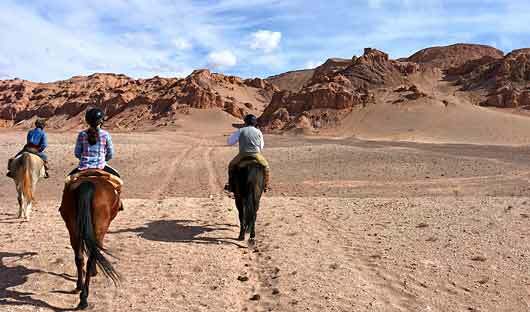 Depart by horse from explora toward the ayllus of Séquitor, Yaye, and Checar – all of these are social and farming communities of the ancient Atacama people. Located in small oasis in the middle of the desert, crops are still grown here. Depart by horse from explora toward the south of San Pedro and the ayllu of Solor. Along the road, you will see the traditional building techniques of the desert, with adobe walls and thatched roofs. The ride continues toward the Andes Mountains, crossing the Vilama river, until you reach the ayllu of Solor. Stroll through the walled streets and learn more about one of the most developed farming practices in the Atacama oasis. Return to explora through the pampa. Depart the hotel toward the La Sal Mountains. Along the way, cross the San Pedro River and go through some dunes, from here you can enjoy a panoramic view of the Andes and the oasis. Enter a dry riverbed that leads to the Valley of the Dinosaurs and return to explora through the pampa. Ride from explora toward the ayllu of Cúcuter, an oasis in the middle of the desert. Here, the green vegetation and the chañar trees contrast with the landscape of the desert and the milky colors of Atacama salt flat. Depart by horse from explora toward the ayllu of Solor, where you can observe the communal lifestyle and local traditions. The ride continues on a trail that leads to the Beter sand dunes, where you will see the differnt types of flora of the saline regions. Arriving to Beter, dismount your horse and visit an archeological site. Return to explora by horse. Depart by horse from the hotel toward the Marte Valley. Here, you will ride through desert landscapes with reddish sedimentary formations and clay esplanades. This exploration is ideal for travelers who want to get a general idea of La Sal Mountains’ geography. Depart by horse from explora toward the Catarpe Valley through a road surrounded by oasis fields. Trot and gallop on your horse before ascending through the ledge of La Sal Mountains, where you will enjoy panoramic views. After riding along the ledge, descend through sand dunes into the foot of the Marte Valley before heading back to explora. From explora, head toward Vilama, riding through farms and settlements once populated by the ancient Atacama people. The ride continues through old cattle roads, watercourses and several ravines. Finally, head for the Gatchi village, passing through volcanic rock formations. 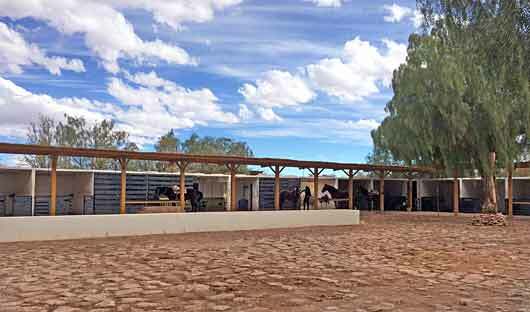 Depart from explora horse stables toward La Sal Mountains, crossing the Chula sand dunes. Trot and gallop your horses until you reach La Luna Valley. During this horse ride through pristine and solitary landscapes experience the desert’s emptiness. For riders used to galloping and troting for long spans. Ride along the Catarpe Valley following the course of a river that flows toward San Pedro de Atacama. Head up the ravine, passing by Chuschul, a highly regarded archeaological site. Enjuy lunch by the Salado River. During this excursion, also see petroglyphs. After lunch, ride down into the Salado River and follow its course until you get to its confluence with the Grande River. Then, head toward the San Pedro River, and return to explora through the Catarpe valley. For more information on explora Atacama and to start creating your tailor-made itinerary, call 1300 784 794 or email contact@satc.com.au.